"I haven't been this tired since yesterday!" You can't help but like these friendly sloths! 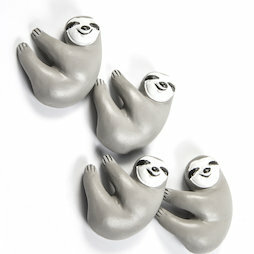 Get these tired animals in a set of 4 and let them do what they do best: hang around! 1 pc. 7,55 EUR ea.